Deficiencies of micronutrients, especially iron, folate, and vitamin B12, among women of reproductive age are known causes of serious maternal and child health problems.The purpose of this study was to find out the prevalence of anemia, and vitamin B12 and folate deficiencies and risk factors among reproductive-aged married women in an agricultural population. A cross-sectional study was conducted on the random sample of 749 reproductive age women in nine provinces of the southeastern Anatolia region of Turkey in 2013. Chi-square test and logistic regression were applied for the data analysis. The results indicated that 36%, 24.3%, and 1.6% of the women had anemia, vitamin B12 and folate deficiencies, respectively. Seasonal agricultural workers, illiterate women, and those living in rural areas had a higher prevalence of anemia, and micronutrient deficiencies after analysis of the confounders. These data indicated the necessity of a public health program for the prevention and early diagnosis of micronutrients including enhanced biological surveillance systems, developed B12 monitoring program, and community empowerment programs to decrease micronutrients deficiencies in agricultural reproductive age women. Balarajan Y., Ramakrishnan U., Ozaltin E., Shankar A.H. & Subramanian S.V. (2011) Anaemia in low-income and middle-income countries. Lancet 378, 2123–2135. Benson J., Phillips C., Kay M., Webber M.T., Ratcliff A.J., Correa-Velez I. et al. (2013) Low vitamin B12 levels among newly-arrived refugees from Bhutan, Iran and Afghanistan: a multicentre Australian study. PLoS One 8, e57998. Bhutta Z.A., Ahmed T., Black R.E., Cousens S., Dewey K., Giugliani E. et al. (2008) Maternal and Child Undernutrition Study Group: What works? Interventions for maternal and child undernutrition and survival. Lancet 371, 417–440. Brabin L., Nicholas S., Gogate A., Gogate S. & Karande A. (2010) Brihan Mumbai Municipal Corporation, population and reproductive health programme at Liverpool. High prevalence of anemia among women in Mumbai, India. [accessed on 2010 Nov 8]. Available from: [http://www.unu.edu/unupress/food/v193e/ch03.htm]. Centers for Disease Control and Prevention (2011) Vitamin B12 deficiency in resettled Bhutanese refugees --- United States, 2008--2011. Morbidity and Mortality Weekly Report 60, 343–346. Dickey V.C., Pachón H., Marsh D.R., Lang T.T., Claussenius D.R., Dearden K.A. et al. (2002) Implementation of nutrition education and rehabilitation programs (NERPs) in Viet Nam. Food and Nutrition Bulletin 23, 78–85. ISNAD Simsek, Zeynep , Atalay, Banu , Keklik, Ayşana Zehra , Akbaba, Muhsin , Ertem, Melikşah . "Epidemiology of micronutrient deficiencies in agricultural reproductive-aged female workers in Southeastern Anatolia, Turkey". 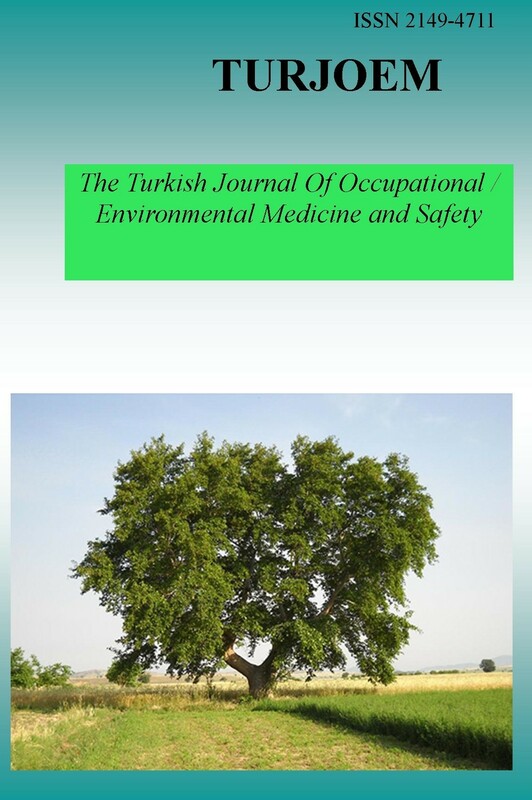 The Turkish Journal Of Occupational / Environmental Medicine and Safety 3 / 1 (February 2018): 9-9.